Khalid Jamil, the recently appointed head coach of Aizawl FC is looking forward to his opening fixture against Kolkata giants East Bengal and he is not taking it lightly. 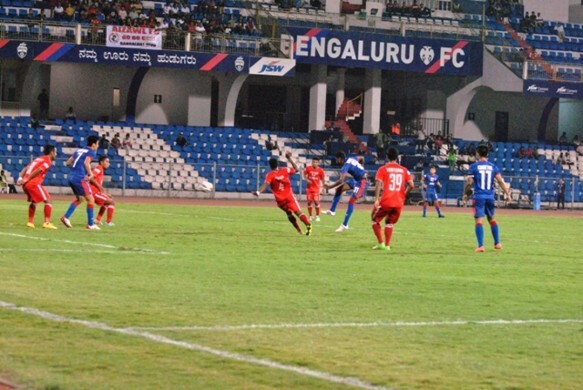 After a disappointing last season when Aizawl were relegated, they have come back to the top tier of Indian football. The former Mumbai FC coach Jamil thinks there are chances of improvement for the Mizoram-based team and he is looking forward going into the season where improvements will be visible. “There is defensive work, there are attacking work….however we want to play beautiful football in the future,” the Aizawl FC coach said talking about his current squad. 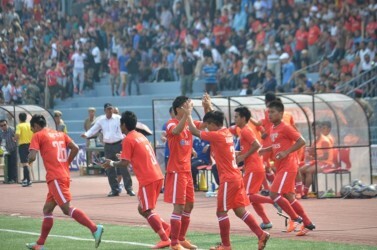 Despite being considered by many as the whipping boys of the league, Aizawl were often criticized last season for their brand of football which cost them many points against the other teams on several occasions. On the other hand, Khalid Jamil and Mumbai FC did not do much better narrowly avoiding the drop themselves at the end of the season but the Kuwait-born manager won many admirers during his time in the metropolis because of the tactics and the brand of football he deployed. Jamil wasn’t specific about his target against East Bengal yet delivered his message smartly. 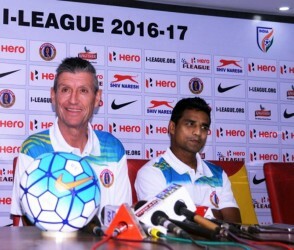 “One point is good, three points are also very good,” said the Aizawl coach, who has earned quite a name for stealing points off East Bengal in the previous meetings. The former Mumbai FC manager was very specific about his priorities this season as he revealed he wasn’t thinking about any other teams as he has one himself, who are a very good lot themselves. Jamil did not reveal any of his tactics against East Bengal however he said that he knew the importance of being solid at the back against the Red and Gold. The Kolkata-based team has one of the most organized midfield and forward line-up in the country and Jamil was vocal about his knowledge of the threat East Bengal forward line up will present. “We have to be defensively very good. The defenders, the strikers and everybody else. After we do that, we go with the flow” said Jamil.